When former CIA officer Jake Adams is hired to guard two Oregon agribusiness honchos attending a conference in the Ukraine, he has no idea he will be recruited back into the Agency to find the killer of a former Soviet biochemist. Was the man developing deadly nerve agents? As terrorists strike around the globe using chemical and biological warfare, Jake knows the attacks are all related. Haunted by his past as an observer in Iraq, he must overcome his demons to continue the case. His investigation leads to the heart of the Kurdistan mountains, where his training is tested as he battles an extreme faction of terrorists who will stop at nothing for their cause. Only one man can stop the deadly plan. That man is Jake Adams. 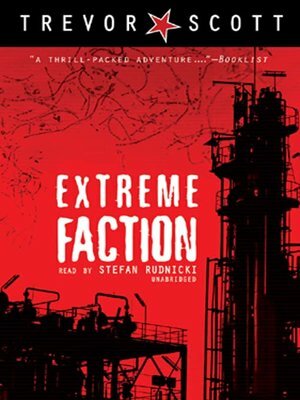 Extreme Faction is the second book in the Jake Adams international thriller series. Fatal Network, the first book in the series, is also available from Blackstone Audio.